The Arrow RG-7 is a boldly styled glove that provides incredible grip and superior comfort. Featuring an anatomically correct seamless palm that contours to the natural shape of the hand, the palm of the Arrow RG-7 glove is printed with high-grip HTX, a Sparco-exclusive material that increases grip, comfort and dexterity. 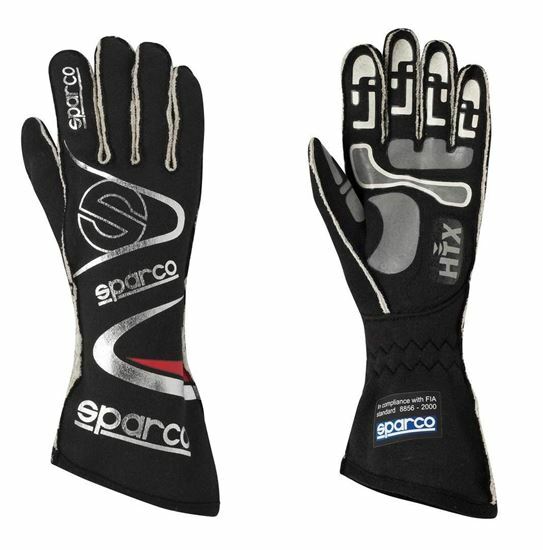 It is an ultra lightweight glove with external seams and high contrast palm and finger grips with premium contrast accents. Available in black, black/orange, red, navy, and white. The Arrow RG-7 is FIA and SFI approved.